Smoked Salmon Deviled Eggs are a delicious classic appetizer perfect for spring and summer parties. Easy to make with smoked salmon, Dijon mustard, lemon and dill. 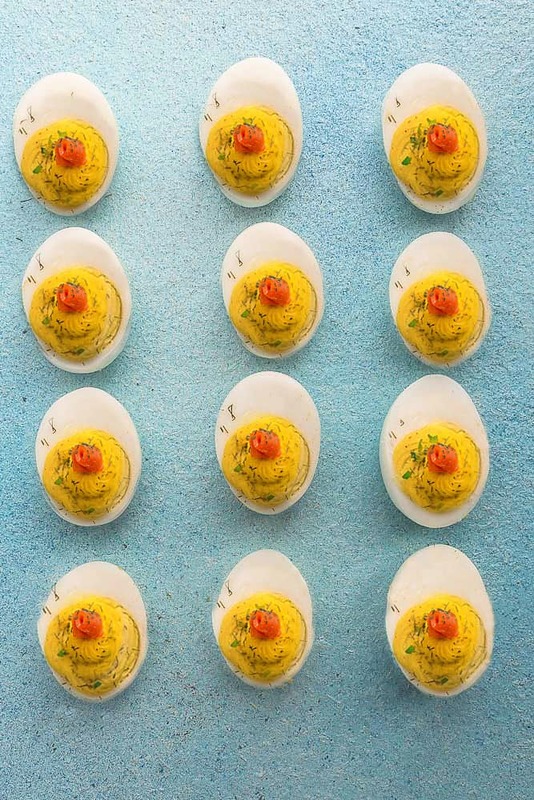 When it comes to classic appetizers for parties, you can’t go wrong with deviled eggs. They area always a hit and people love all the various ways you can dress them up. 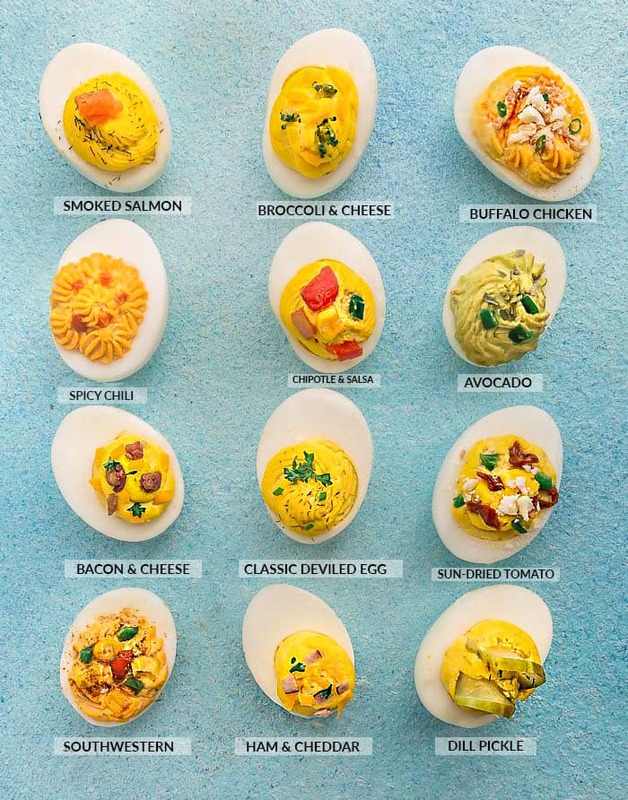 Plus, they’re easy to make ahead of time so they’re perfect for Easter, summer picnics, baby showers, bridal showers or any weekend brunch. This recipe for Smoked Salmon Deviled Eggs comes together in under 30 minutes are full of bright and fresh flavors. Plus, it’s gluten free, low carb, keto friendly and is super simple to customize. 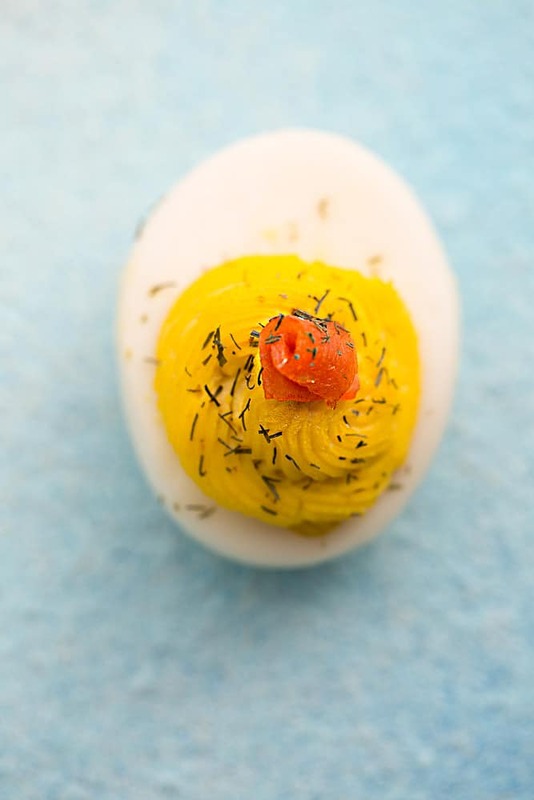 My favorite method to make easy-to-peel hard boiled eggs is definitively in the Instant Pot. 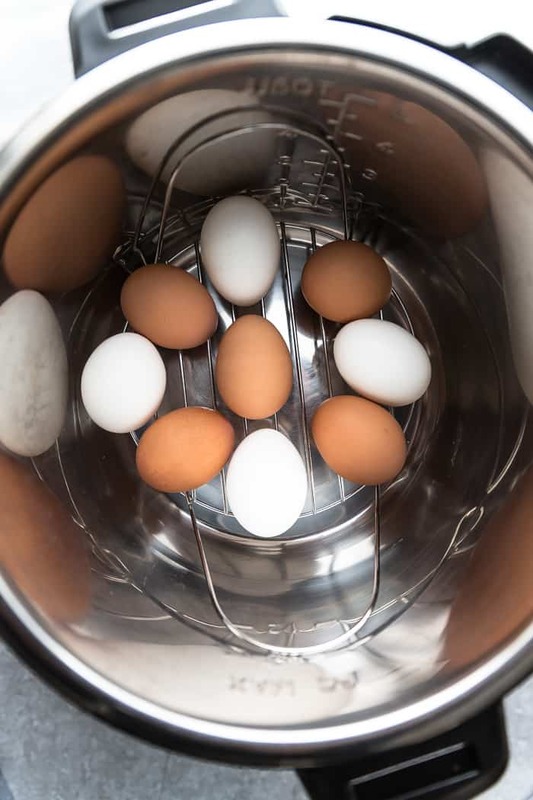 To start, place the eggs on a rack, add 1 cup of water and pressure cook for 6 minutes. The best part is, no having to stand over the stove and wait for the water to boil over. Plus, the shells are easy to peel and the whites are firm but still tender with creamy yellow yolks. If you don’t have an Instant Pot, I’ve also included a stovetop method in this post as well. 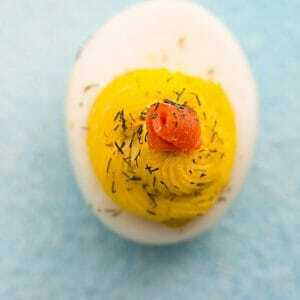 Hard boiled and peeled eggs can be made 1 day in advance and stored in the refrigerator. You can also make the fillings up to 1 day ahead and store in the fridge. Just remember to store each filling in separate piping bags or in an airtight container with a layer of plastic wrap covering the filling under the lid. Spoon or pipe filling into egg white shells when ready to serve. Do not freeze as the texture of the egg whites will become rubbery and watery. 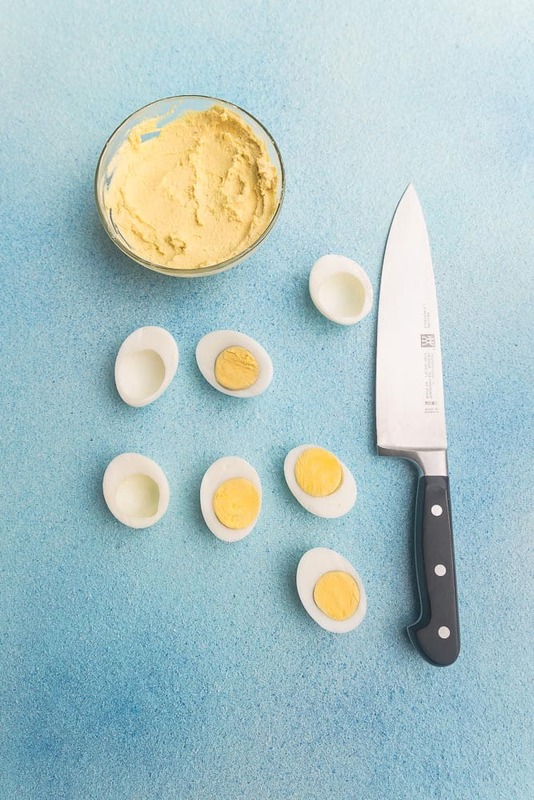 Once you add the filling, deviled eggs can be prepared up to two hours in advance if sitting at room temperature. 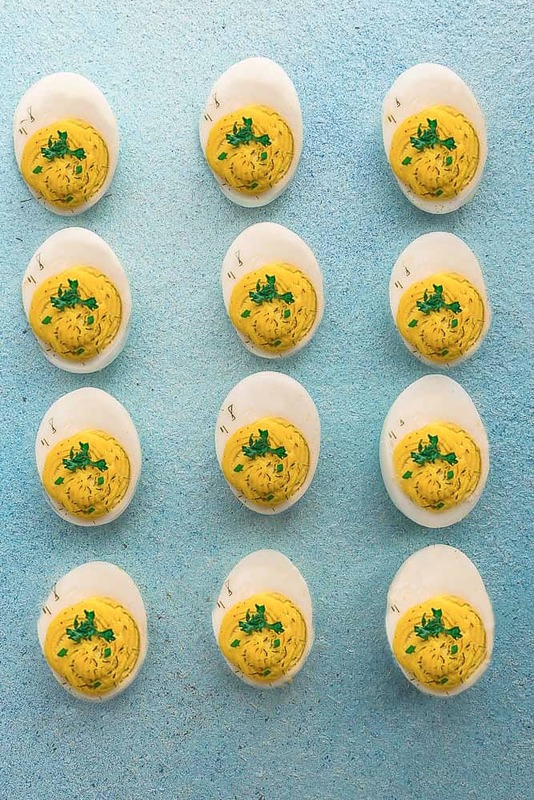 How to make Classic Deviled Eggs - easy to make and the perfect appetizer for family gatherings, holiday parties, Easter potlucks and summer barbecues. One of our favorite simple side dish recipes. Add mayonnaise and salt, mustard, cream cheese, lemon juice, dill,and black pepper. Mash (or beat with a hand mixer) until combined and smooth. Stir in capers and smoked salmon.